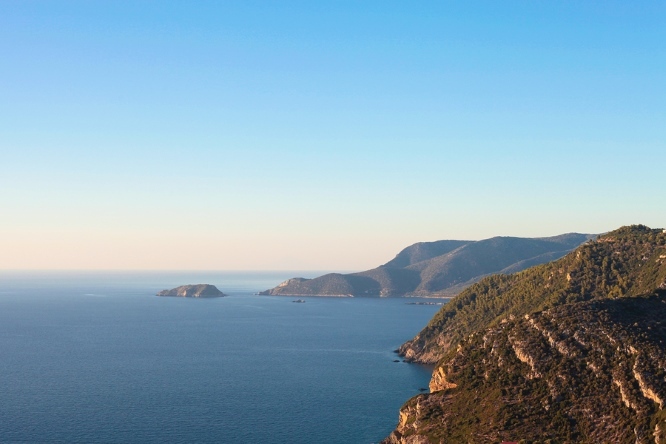 Alonissos is at the eastern end of the Sporades, and is a much more rugged island than the others in the group. It has no direct flights as it doesn’t have an airport, and with limited ferry connections, it attracts far fewer visitors than its busier neighbours, Skiathos and Skopelos. That doesn’t mean that it isn’t busy in summer, however, as it attracts plenty of Greek holidaymakers as well as others who prefer one of the less-spoiled islands. Alonissos is also surrounded by the Alonissos Marine Park Northern Sporades, which was set up to protect the wonderful wildlife here, in particular the endangered Mediterranean monk seal. Alonissos is a long, thin island, about 12.5 miles (20kms) from end to end, and at its widest roughly three miles (4.5kms) across. It has a population of just under 2,500, a rocky coastline and a wooded interior. It also has a Bohemian feel to it, as many artists are attracted by its charms. Alonissos has no airport, the nearest one being on Skiathos, from where you would need to take a ferry to Alonissos. There are no ferries direct to Alonissos from Piraeus, so to get there you need to take a ferry from either Skiathos or Skopelos. Skopelos is closer, only about 6.5 miles (10kms) away by ferry, and in summer there are several ferries and hydrofoils every day. The journey takes about 40 minutes, or 30 minutes if using the flying dolphin service. There are also regular ferries from Skiathos, which takes just over two hours, or 45 minutes by flying dolphin. You can get to Alonissos by ferry from Volos on the mainland (3-4 hours), and also from Agios Konstantinos, which is on the coast of central Greece about two hours north west of Athens by bus. The ferry from here to Alonissos takes about four hours, and the flying dolphin about three hours. 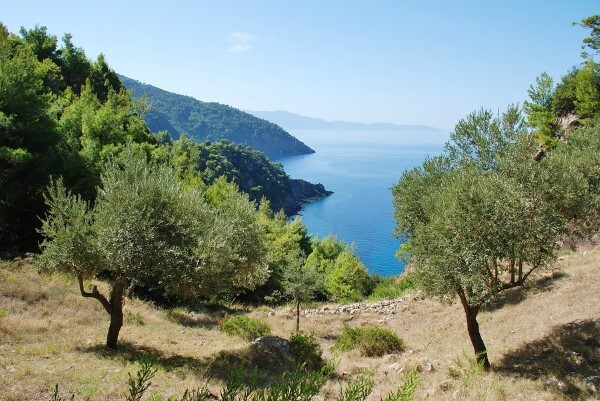 Alonissos is best for those who like hiking, wildlife, and relaxing. 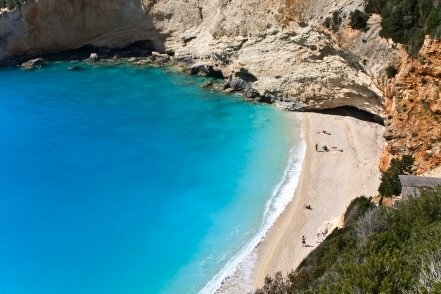 Its beaches are mostly of pebble rather than sand, so the island doesn’t attract as many sunbathers as Skiathos or Skopelos, which both have better beaches. The waters around Alonissos are beautiful for swimming, however, because of the protected Marine Park which surrounds it. It has some great hiking trails, and appeals to bird watchers and other wildlife enthusiasts. The waters around Alonissos are one of the last refuges of the endangered Mediterranean monk seal. The Marine Park was established in 1992 to protect the habitat of the monk seal, and the other wildlife that lives in the area, including dolphins, whales, eagles, Eleonora’s falcons, and the wild goat. It was the first designated Marine Park in Greece and the biggest protected marine area in Europe. It covers not only Alonissos but also six smaller but uninhabited islands in the north east Sporades, and numerous islets and rocky outcrops. In summer there are daily boat trips to show you the Marine Park, and these leave from Alonissos’s main town and port, Patatiri. To find out more about the Marine Park, visit the official website of the Alonissos Marine Park Northern Sporades, to give it its full name.